Wherever you want to go, Hazard Mitigation and Preparedness will help you get there. Easy-to-read, practical, and up-to-date, this text not only helps you learn fundamental hazard mitigation concepts, it also helps you master the core competencies and skills you need to succeed in the classroom and beyond. The book’s brief, modular format and variety of built-in learning resources enable you to learn at your own pace and focus your studies. Learn how to build resilience at the community level. Examine the major categories of hazards, including meteorological and hydrological hazards, geological hazards, and manmade hazards. Understand the practice and politics of mitigation policy at the federal, state, and local government levels. Explore how the private sector can contribute to strong local economies through wise land use and business protection planning. Assess risk and vulnerability and identify hazards. Apply appropriate mitigation tools and techniques to reduce vulnerability. Prepare for potential hazards with preparedness activities. Follow the process of hazard mitigation planning. Foster a culture of prevention by applying the principles of sustainable development. When it comes to learning about emergency management, not everyone is on the same path. But everyone wants to succeed. The new Wiley Pathways series in Emergency Management helps you achieve your goals with its brief, inviting format, clear language, and focus on core competencies and skills. 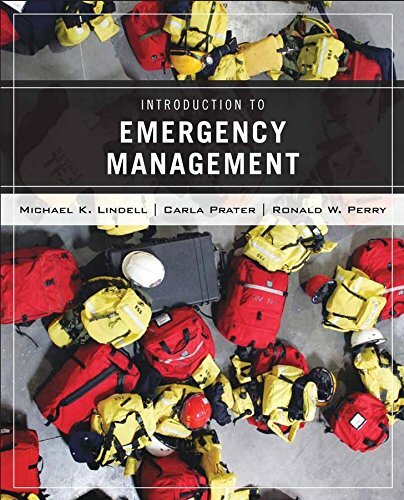 The books in this series––Introduction to Emergency Management, Hazard Mitigation and Preparedness, Emergency Planning, Technology in Emergency Management, and Disaster Response and Recovery––offer a coordinated curriculum for learning emergency management. Learn more at www.wiley.com/go/pathways. Lindell, Michael K.; Prater, Carla; Perry, Ronald W.
Lindell, Michael K., Prater, Carla, Perry, Ronald W.